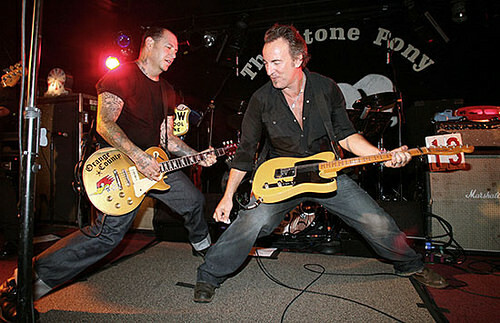 In between leg 3 and 4 of the "Magic" tour, Bruce joins Mike Ness onstage for four songs. Bruce also contributed to the studio recording of this song, providing duet vocals and guitar. Mike Ness recorded his album at Ocean Way Studios in Los Angeles, CA. Springsteen joined Ness in studio on 29 Dec 1998 to record his parts. 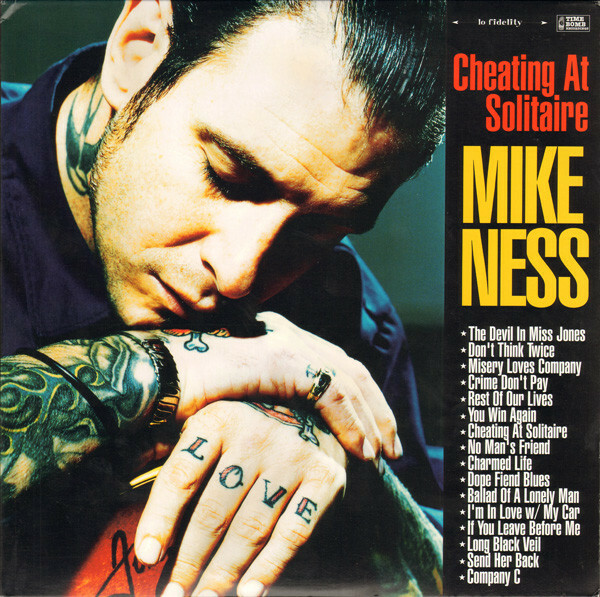 Misery loves company is a song written by Mike Ness (frontman for Social Distortion) and released on his 1999 album Cheating At Solitaire. 'Cheating at Solitaire' is the first solo album from Social Distortion frontman Mike Ness. Released in 1999, it bypasses much of Social Distortion's punk muscle in favor of a more roots-oriented approach to rock and roll. It features cameos by Bruce Springsteen, Brian Setzer, and members of Royal Crown Revue. Johnny Cash was invited to perform on the song "Ballad of a Lonely Man", but was too ill to record at the time. "Dope Fiend Blues" and "I'm In Love w/My Car" were originally written/recorded in 1994 as a demo of Social Distortion's fifth album White Light, White Heat, White Trash. Ness also originally wrote some of the songs on this album around 1997 while Social Distortion was planning their sixth album. 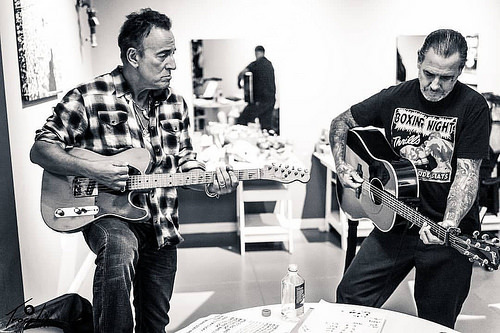 Springsteen has long been a major fan of Southern California punk/rave band Social Distortion. He touted their album Somewhere Between Heaven And Hell as his favorite record of the year in a Rolling Stone interview in 1992.